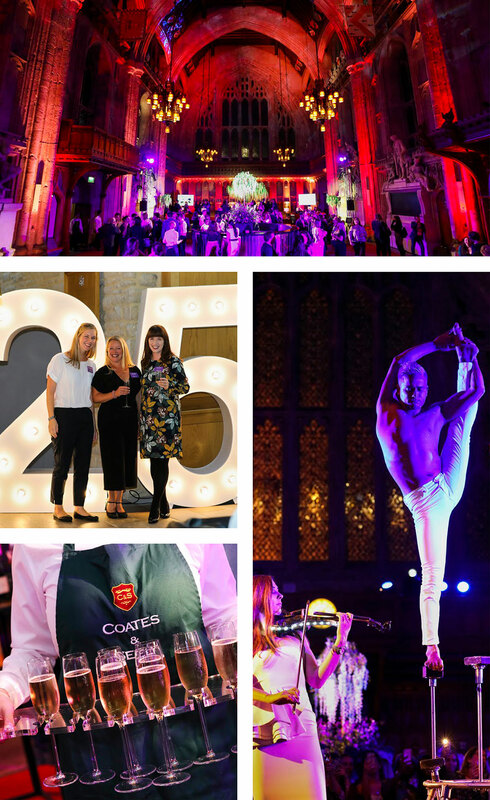 In celebration of their 25th anniversary, Unique Venues of London threw a truly magnificent party at London’s Guildhall. With guests from all of the organisation’s illustrious members – which include such iconic venues as Kensington Palace, Spencer House and Tate Britain – a party was laid on that comprised the very best of British catering and entertainment, including stunning food from Moving Venue and equally glorious floristry from Lavender Green. All of this was washed down with lashings of Coates & Seely Rosé and Brut Reserve sparkling wines, as guests marvelled at acrobats and music provided by Sternberg Clarke, and celebrated membership of one of the most illustrious collection of event venues in the world.